Mineralizing thermal water born in the french volcanoes. Naturally rich in mineral salts and oligo-elements, vichy thermal spa water helps the enzymatic activity which contributes the protective functions of skin. Reinforces the skin's natural protection. Vichy thermal spa water comes in a spray can bottle with plastic opening cap (It is quite tight so it opens up with some effort). The nozzle dispenses fine mist and it gives instant freshness to face. This water is rich in 15 rare minerals to provide a stronger barrier and healthier looking skin. After spraying, when the water dries down, it gives a mild tightness feeling which I don't like because my skin is dry, though this feeling vanishes away after 1-2 minutes. As I mentioned before, I started using it when I had really bad skin in terms of pimples and blemishes. And, after using it throughout December, I can say that it didn't do anything to help my skin become clear and blemish free. 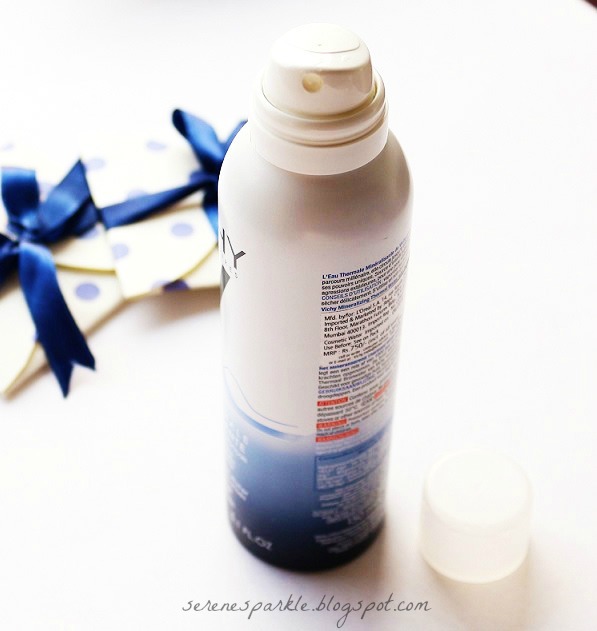 It provides moderate hydration, not to an extent where all the dry patches fade away completely. I also didn't notice any difference in the texture of my skin. I wasn't experiencing any kind of itchiness or extreme sensitiveness that time so I cannot comment on that. The only plus point for me regarding this water is that it gives a refreshing feeling to the face but I don't see myself spending so much on this again just for the temporary refreshing feeling. It turned out to be just an okay product for me. Only, if you've generous skin care budget, you might wanna give this a try and see how it works on your skin but if you really want to go for thermal water kind of face mists, I'd recommend la roche posay over vichy thermal spa water. 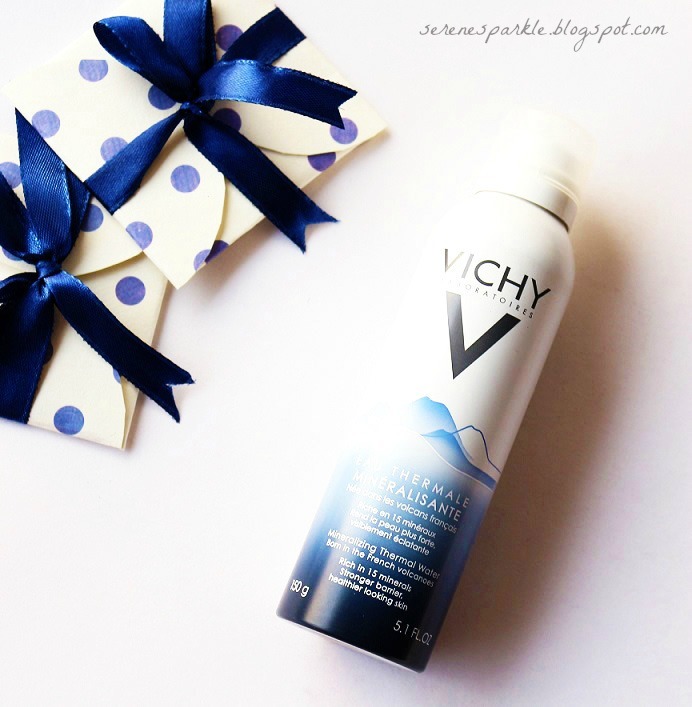 Have you tried Vichy Thermal Spa Water ? Seems like a great product. Thanks for the review. thanks a lot dear xoxo. I've never tried a thermal water! If I do though, I may go with the la roche posay one! I have not tried this water myself, and like you I am not sure I would want to pay that much. While it's a shame that it didn't do anything for your skin issues, I'm glad that it was at least refreshing! This is refreshing but it doesn't really do much.